One minute this field was completely barren and the next it was covered in ten foot corn stalks. Such a view is normal for me. 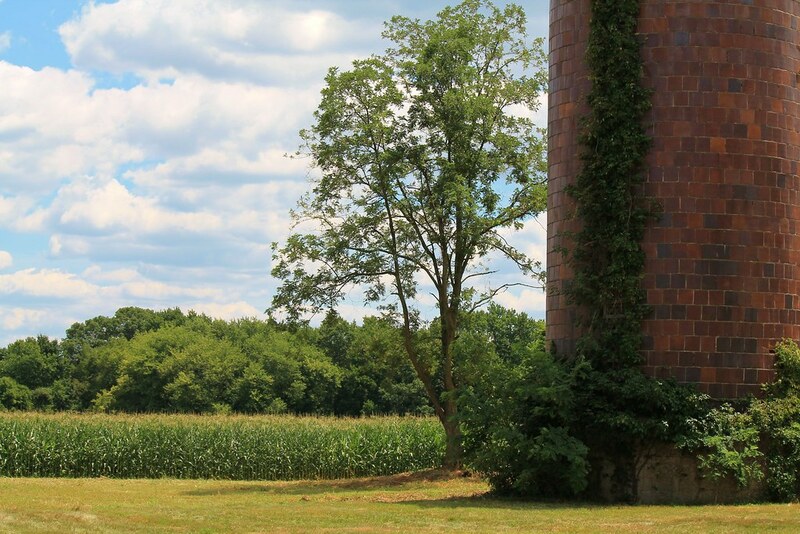 Growing up, I lived across the street from a farm and at the corner of our property was a tree farm. 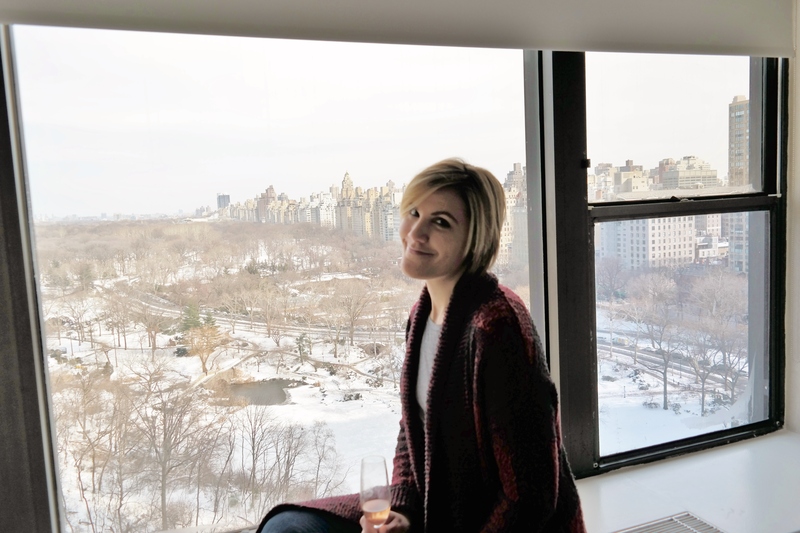 Living on an acre and a half of what once was farm land, I had only two neighbors whose homes could barely be seen from mine. Now I live in town and have a little more human activity; still I am only seconds from views like these. I often find myself taking the wide open land, the growing vegetation, and the picturesque views for granted. They have become such a background to my life, always present. It isn’t until I force my thoughts away from the craziness of life that I am able to take in and enjoy such easily accessible beauty. Though New Jersey is diversified enough that it is also home to beach towns, developing cities, and, yes, even the pine barrens we have the nickname “Garden State” for a reason. 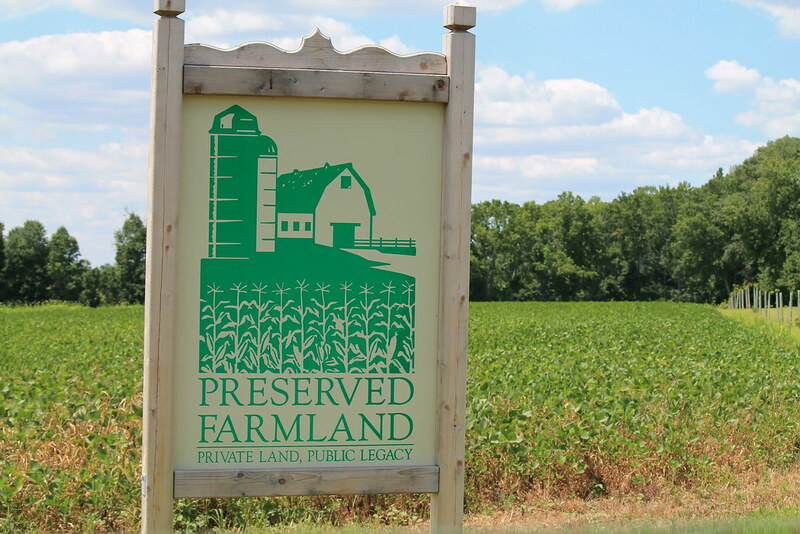 According to nj.gov, we are home to over 9,000 farms covering approximately 715,000 acres of land. 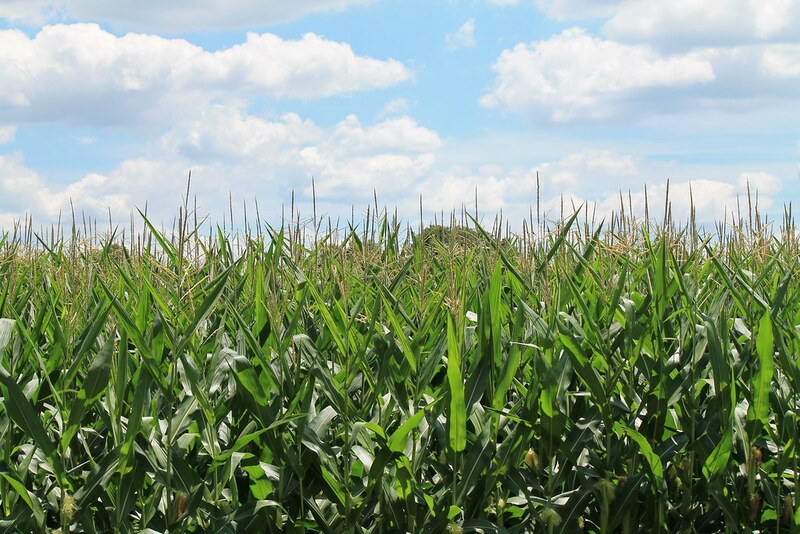 We are in the top five for agricultural production of blueberries, cranberries, spinach, bell peppers, and peaches; and that doesn’t even touch on our amazing tomatoes and corn! 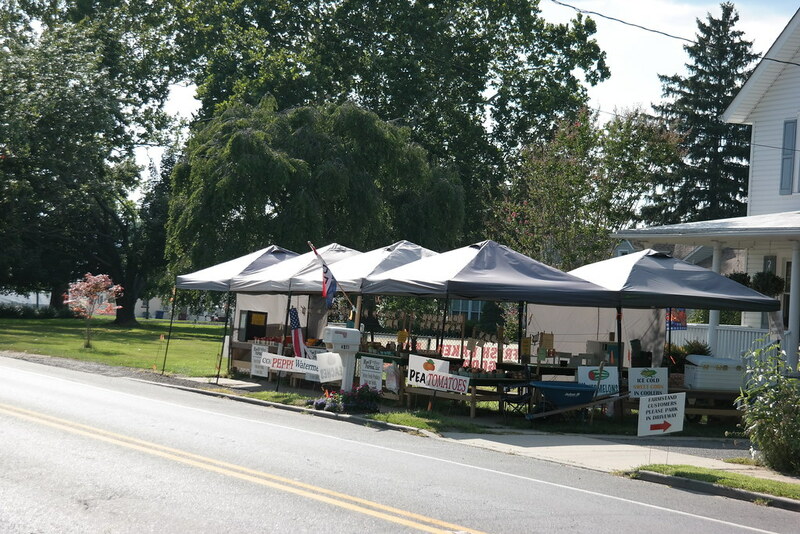 From where I live, a five to ten mile drive in any direction will bring you to at least one farm stand. 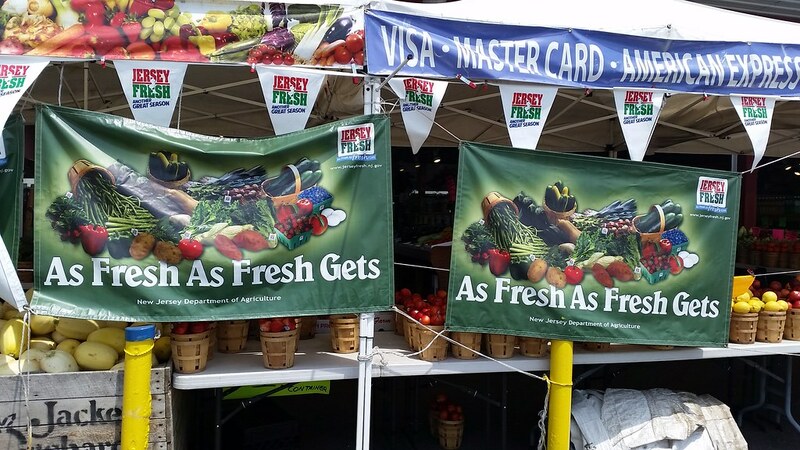 In most cases, they are selling it all–tomatoes, strawberries, lettuce, potatoes, blueberries, watermelon, you name it! I’m spoiled. Not even five minutes down the road from my home is the Farmer’s Market with not one, not two, but three locally grown produce ‘stands’. (They are far more than ‘stands’ as you can see in the above picture which shows only one stand). There are so many benefits to buying fruits and veggies at the Farmer’s Market (or a roadside stand). 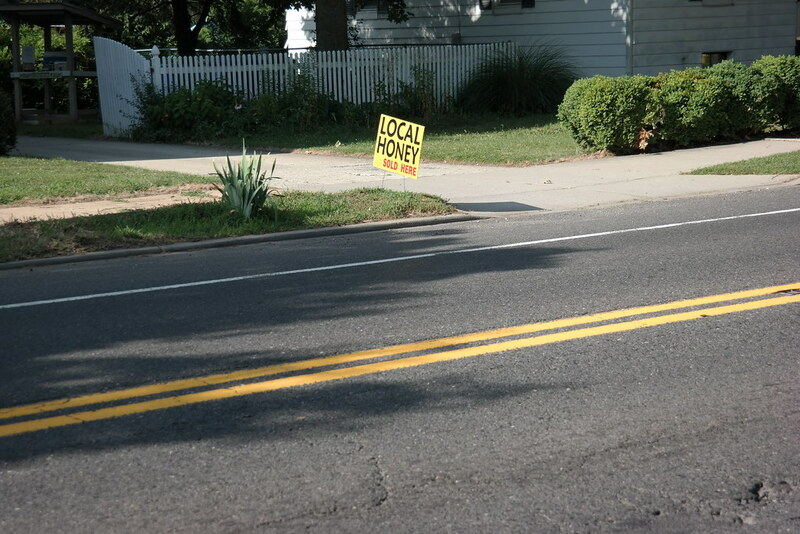 Naturally, the obvious first reason is that it is locally grown and, as the below sign says, incredibly fresh. The only issue with this is that, with certain produce, it goes bad faster. I usually don’t remember this until the day after I have just bought more than a week’s worth of produce. I end up dispersing my farm stand goodies like Christmas cookies to my relatives hoping they can make a meal of them before they further expire. 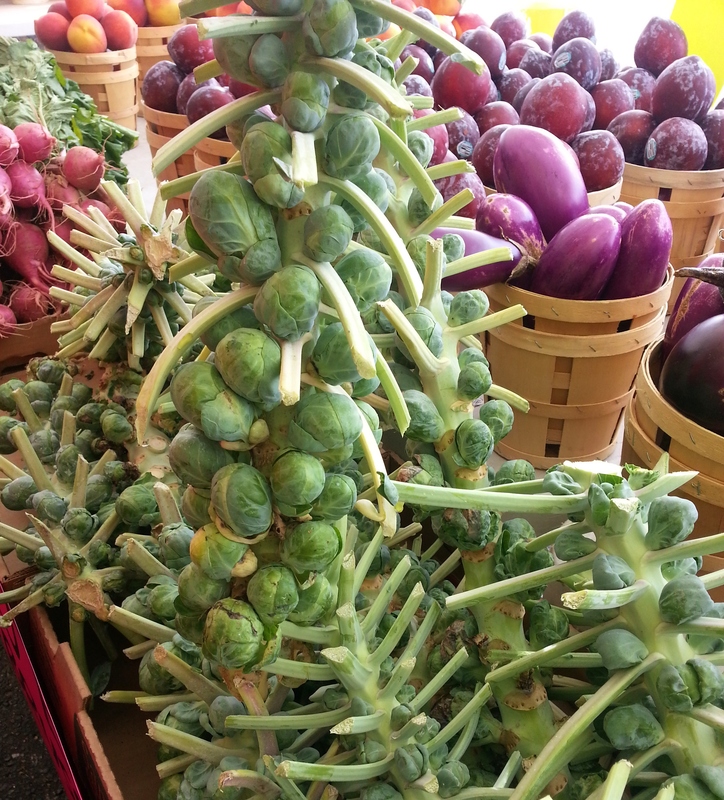 Now I know not only how Brussels sprouts grow (Did anyone else think they were grown similar to cabbage but just plucked out early? ), but also that I am extremely thankful for when the market sells them already cut off the stem and in a little basket. 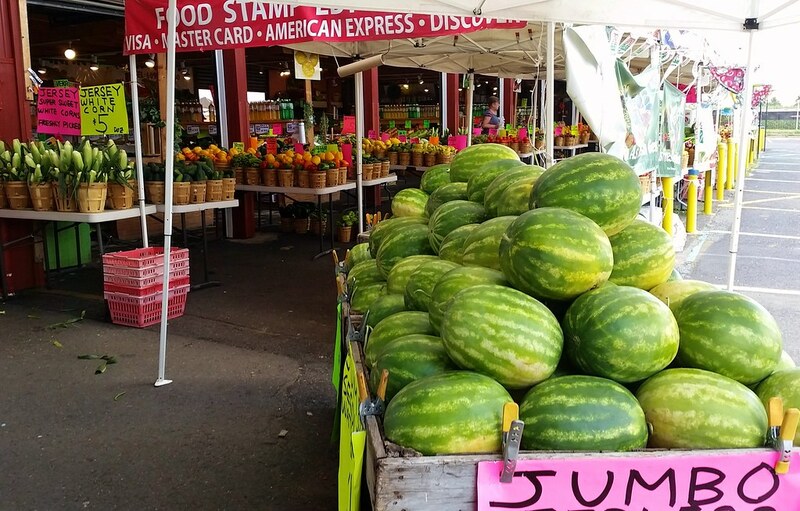 While I love that I am purchasing fresh produce, grown locally, and learning as I go along, my favorite part of the variety of produce stands available is cost. 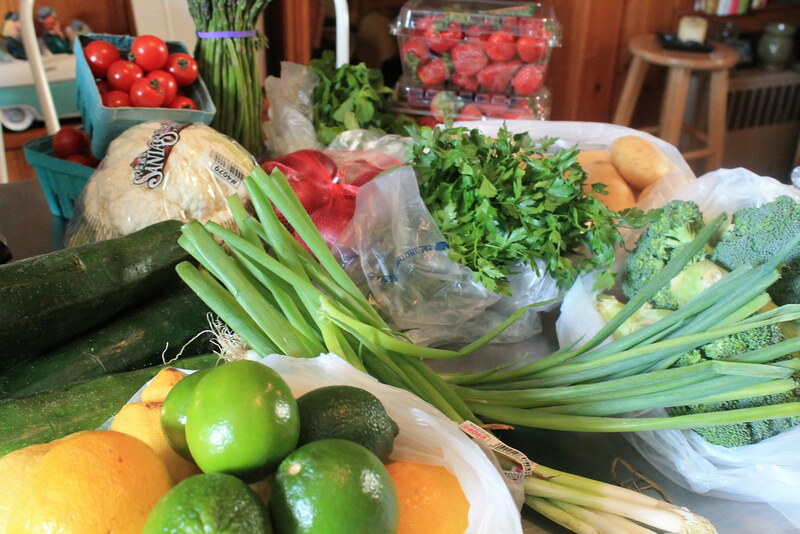 The assortment of fruits and veggies pictured above cost me less than $30 at the Farmer’s Market. Had I been feeling super frugal that day, and decided to walk all three stands, it might have cost me even less. Some supermarkets really hike up those prices for produce. I want to eat healthy, I want fresh food, but I don’t want to break the bank over it. 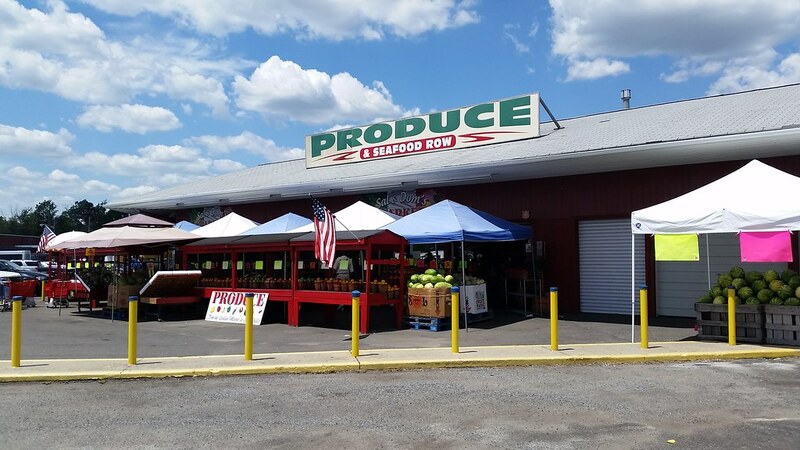 Especially in the summertime, Jersey residents have the opportunity to enjoy produce priced fairly, highlighted with incredible local flavors and grown with love (at least, I hope so! ).